KLRN is thrilled to host Antiques Roadshow in San Antonio on Saturday, April 27, on the grounds of the beautiful McNay Art Museum. For FAQ about details of the day, what to expect, appraisal items, or scheduled time slots, please click here. If you won tickets through the Antiques Roadshow lottery or if you are receiving a pair through KLRN because of your donation, YOUR TICKETS WILL BE E-MAILED TO YOU NO LATER THAN WEDNESDAY APRIL 24. THERE IS STILL TIME TO GET TICKETS! Don’t have tickets but want to go? When you support KLRN, you can select two tickets to Antiques Roadshow in San Antonio as your thank you gift! Each ticket offers an opportunity to bring in two items to be appraised. So don’t wait any longer to find out the value of your family heirloom or thrift store find. All positions require standing or walking throughout the 12-hour event. All volunteers MUST ATTEND a training session on Friday, April 26 from 4PM - 6PM. If you are unable to attend this training, you will not be allowed to volunteer for the event. To sign-up as a volunteer, click here. By signing up, this does not secure your spot as a volunteer at this event. If you are selected to represent KLRN as a volunteer at this event, you will be notified by a member of the KLRN team in late February 2019 to provide you with next steps and more information. 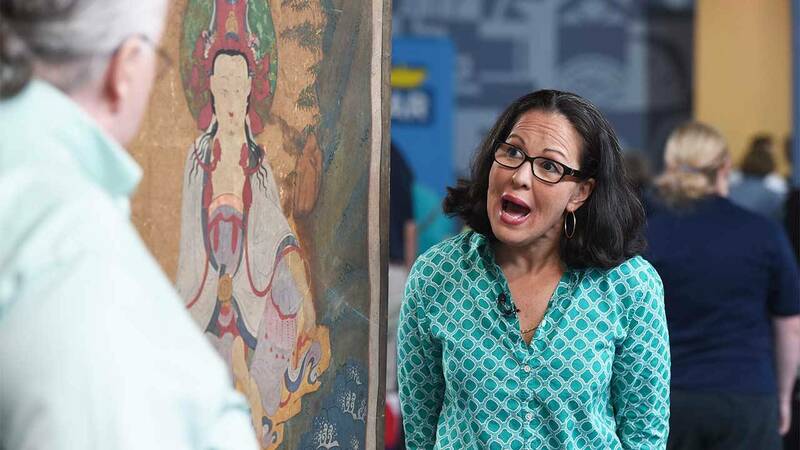 In addition to San Antonio, the ANTIQUES ROADSHOW 2019 tour will visit Phoenix, Arizona on April 16; Sacramento, California on May 13; Fargo, North Dakota on June 1; and Winterthur, Delaware on June 18. Produced by WGBH Boston, ANTIQUES ROADSHOW is seen by up to eight million viewers a week.